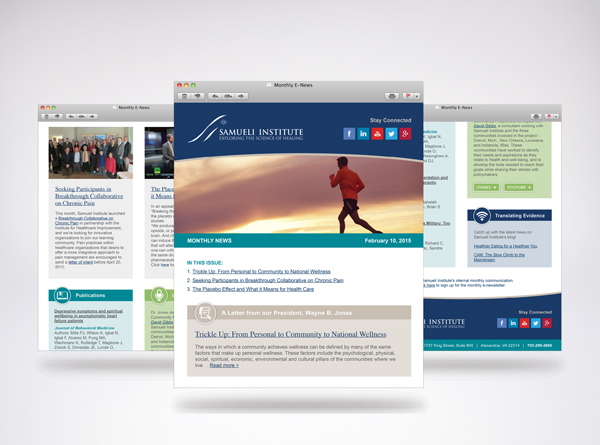 Founded in 2001, Samueli Institute is a nonprofit organization advancing the science of healing worldwide by applying academic rigor to research on healing, well-being and resilience; translating evidence into action for the U.S. Military and large-scale health systems; and fostering wellness through self-care to create a flourishing society. 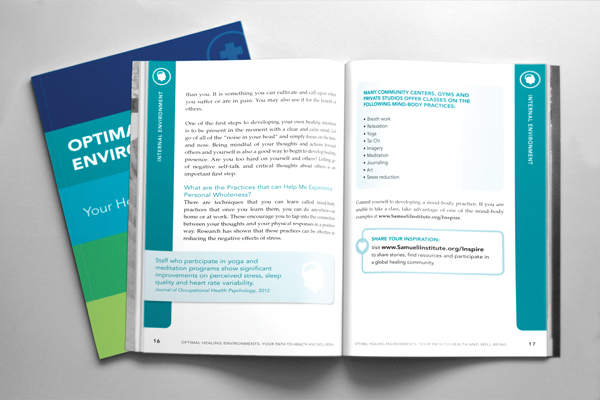 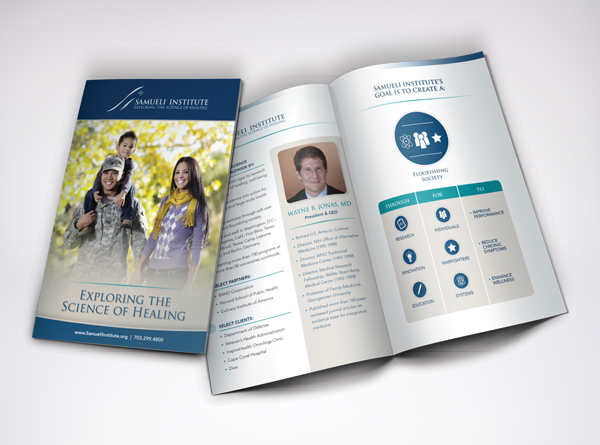 Samueli Institute helps organizations evaluate, understand and implement healing practices to allow for evidence-based decision-making; directing more than 150 programs at more than 50 universities worldwide. 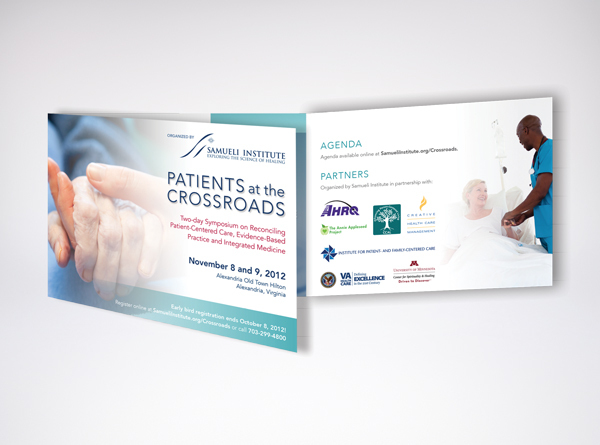 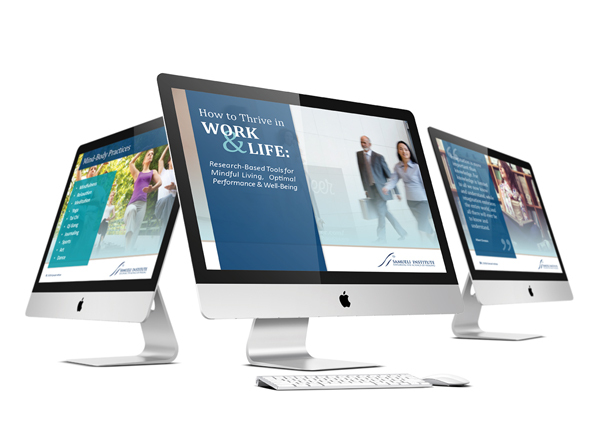 In 2012, Samueli Institute approached Six Half Dozen in need of design services for various print collateral. 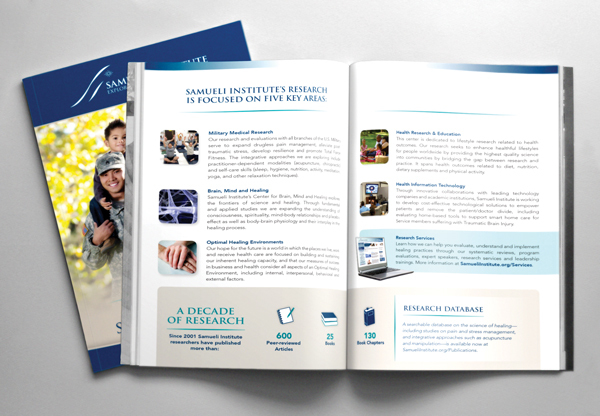 After designing a few print pieces for them, Six Half Dozen noticed that Samueli Institute was in need of a brand overhaul. 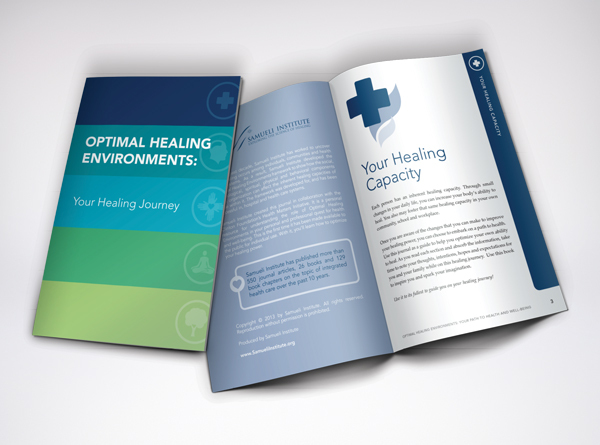 Six Half Dozen worked closely with them to refresh their brand by repurposing their existing color palette and introducing strong imagery to boost their presence in the military and health care community. 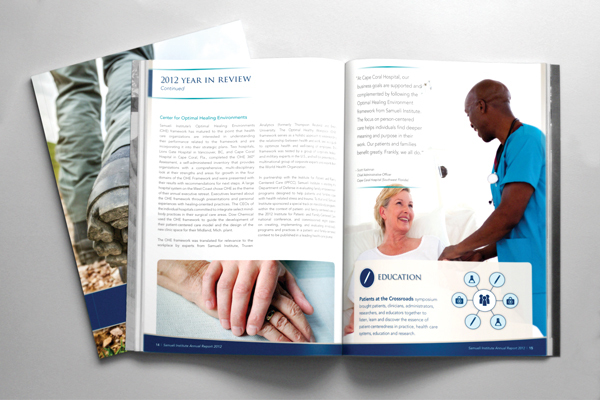 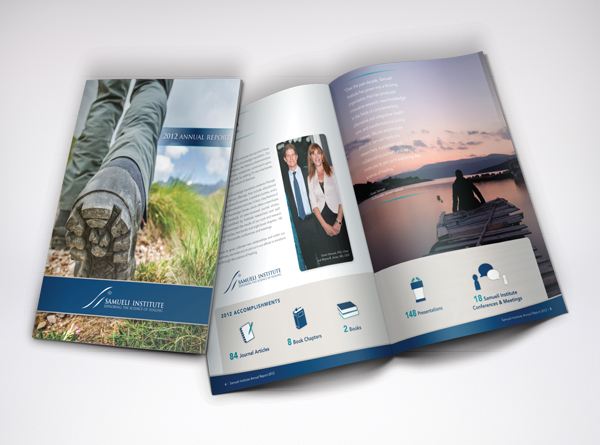 Over the years, Six Half Dozen has designed cohesive materials for them, from annual reports and marketing brochures, to print collateral for annual events. 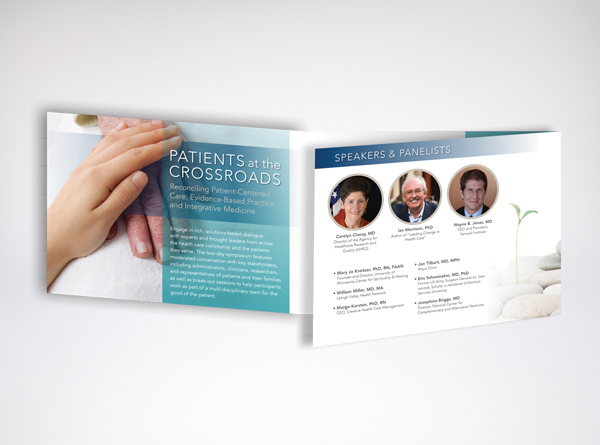 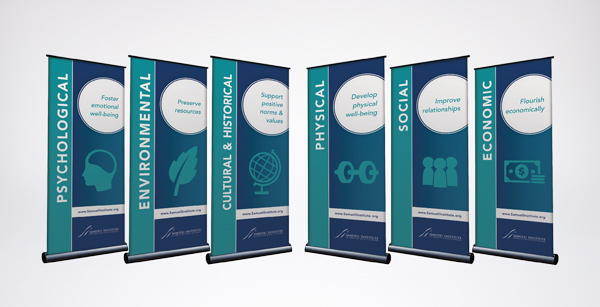 Today, Six Half Dozen serves as their resident design team, and continues to design print collateral, presentations, and event materials for Samueli Institute on a monthly basis.